When exposed to sunlight, the dyes in Oriental rugs tend to fade drastically. To prevent this from happening, you should block direct sunlight from hitting the rug as often as possible. If this isn’t possible, you can rotate the rug as much as you can to ensure more uniform fading. 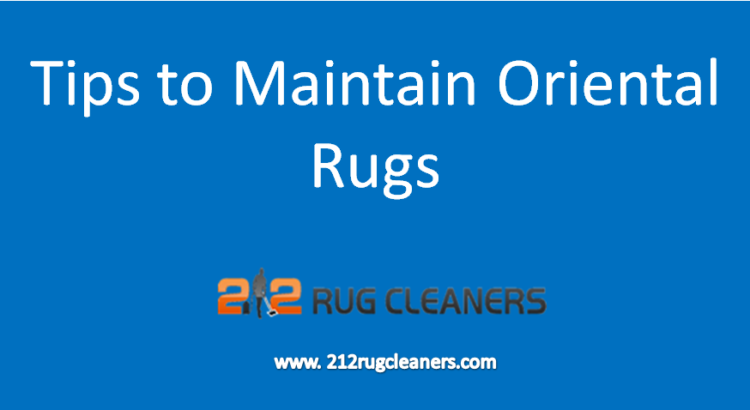 Though some experts claim that you only need to rotate your Oriental rug every one to two years, it is usually best rotate it every one to two months, especially if the rug is located in a high traffic area. Doing so will allow for more evenly distributed wear, which helps maintain both appearance and value. To prevent overly wearing down one region of the rug, you should rearrange your furniture to create new pathways every six months or so. Apart from even wear, doing so will increase lifespan of the rug. Yes all rugs require vacuuming, but you shouldn’t miss out on vacuuming the Oriental rug on a regular basis. Create and stick to a schedule as it prevents natural fibers from being packed down due to excess traffic. Turn off the beater bar while vacuuming the Oriental rug in order to prevent runs or tears in the delicate fibers. To remove surface dust, you can re-fresh the surface by wiping the rug down with a cloth or sponge that has been dampened with cold water. Stains can easily develop if you don’t immediately “spot clean” a spill once it occurs. Dab the stain with a dry cloth to soak up all excess liquid. Please don’t use soap, bleach, or other common cleaning products on your Oriental rug, since it can cause damage to the fibers. Only water should be used to cleanse the stain. If it isn’t removed completely, consult a professional right away. Experts recommend having your Oriental rug professionally washed every three to five years to prevent dirt and soil buildup and fully restore the rug’s natural fibers. With the help of a professional rug cleaner, you can extend the life of the rug and enjoy better comfort and quality throughout your use.